Navicure and ZirMed announce plans to merge, though Reuters reports it’s more of an acquisition by Navicure to the tune of $750 million. The combined RCM company will operate under both brands for the foreseeable future, maintaining offices in Georgia, Illinois, and Kentucky. The agreement comes about a year after Bain Capital Private Equity bought a majority interest in Duluth, GA-based Navicure. Louisville, KY-based ZirMed has been shedding assets over the last several months. It sold off its analytics business to Koan Health in May, and laid off 60 employees a few months before that. From ButIThoughtYouSaid: “Re: Orion Health. Orion is closing their Singapore office and letting all employees go. Fate of their Middle East operations remain to be seen. They recently decided to pull out of an EMR contract in the Gulf rather than deliver it. Ian McCrae is under tremendous pressure as share prices are just above $1 from $5 fifteen months ago. I feel for him.” I haven’t seen any news related to the company’s Singapore presence, though I did read that McCrae’s personal worth has plummeted from $225 million NZD to $125 million. This week on HIStalk Practice: Government agencies rescue dialysis patients in the wake of Hurricane Irma. Pennsylvania officials see reduced doctor shopping thanks to PDMP. MGMA calls for CMS to address "hidden" EFT fees. Macro-Eyes develops predictive patient scheduling tool. AAFP swears in new president during FMX conference. Summit Reinsurance Services enlists the population health assessment expertise of XG Health Solutions. Physician satisfaction improves during year-long trial with scribes. The Pitt County Health Dept. in North Carolina allocates $238,000 to implement Epic. Parents push back on telemedicine in Austin schools. HIStalk sponsors, submit your company’s details to the MGMA 2017 guide. Atlantic General Hospital names Jonathan Bauer (McKesson) VP and CIO. Precision medicine company Cota hires Andrew Norden, MD (IBM Watson Health) as CMO. Dan Watanapongse (Sterigenics International) joins Intelligent Medical Objects as EVP and CFO. Kaiser Permanente appoints Harvard Medical School pediatrics professor Mark Schuster, MD head of its new medical school in Pasadena, CA. The school will welcome its first group of students in the fall of 2019. Bruce Henderson (Navigant) joins consulting firm Navvis as president. 23andMe raises $250 million in a round led by new investor Sequoia Capital, bringing its total funding to near $500 million and a reported valuation of $1.75 billion. Healthcare business development company Marketware secures $4.5 million in a Series B round led by Epic Ventures. Alex Obbard (Solutionreach) has joined the company as CEO. Public and private payer Centene expands in New York via its $3.7 billion acquisition of Fidelis Care. Dallas-based Tenet Healthcare shares climb 13 percent following a Wall Street Journal report suggesting it is considering a sale of the company. Tenet shares are down 72 percent in the last three years in the face of ongoing activist investor pressures. Allscripts and Surescripts offer pharmacists in Alabama, Florida, Georgia, North Carolina, and South Carolina complimentary access to patient medication history data as part of their hurricane relief efforts. Perficient redesigns the Colorado Center for Personalized Medicine’s data warehouse, moving it from University of Colorado hosting services to Google Cloud. FormFast debuts its Connect e-forms solution on the Salesforce AppExchange. 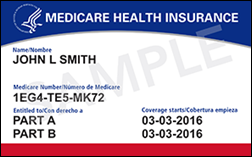 CMS previews the SSN-less Medicare cards it will begin mailing out next April. 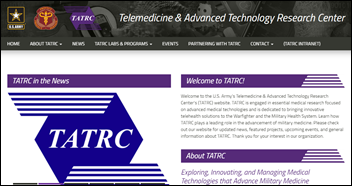 Irving Burton Associates signs a two-year, $11 million contract with the US Army Medical Research and Materiel Command to supply research, scientific, management, and technical support services for its Telemedicine and Advanced Technology Research Center. 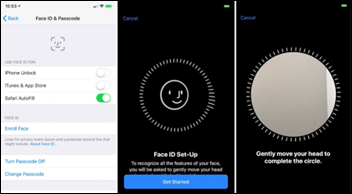 Fortified Health Security partners with IoT security software company ZingBox to develop a program that will help healthcare organizations monitor and manage connected medical devices and networks, as well as potential threats. 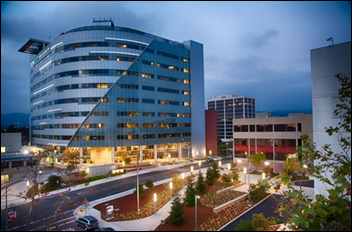 Sutter Health (CA) selects advance care planning software from Vynca. Christus Continuing Care (TX), Carespring Health Care Management (OH), Cornerstone Healthcare Group (TX), and Perimeter Healthcare (GA) contract with HCS for its Interactant EHR. 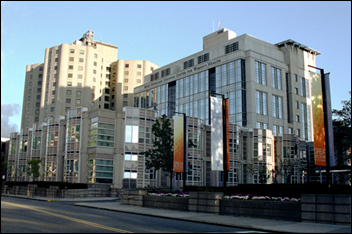 Brigham Health (MA) selects Redox’s API services to consolidate and standardize EHR data for use with hospital apps. CoverMyMeds will develop e-referral technology for speedier electronic prior authorization of specialty medications. Epic announces “worldwide interoperability” with the November launch of Share Everywhere, which enables patients to give MyChart data access to any provider with an Internet connection, even those without an EHR. In turn, providers can send progress notes back to the patient’s care team. Optum360, Navicure, ZirMed, and Advisory Board take top client experience honors for software and technology in Black Book’s latest RCM survey, which also found that 74 percent of respondents are reprioritizing RCM ahead of projects related to population health, patient engagement, analytics, and physician practice acquisition and recruitment. 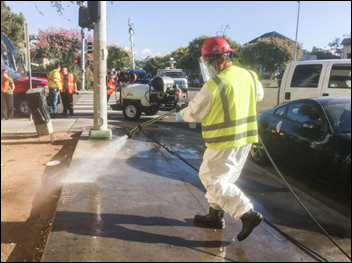 San Diego workers spray city streets with bleach in an attempt to stem an outbreak of hepatitis A that has killed 15 and infected 400 people, mostly homeless. City officials have declared a public health emergency, installed hand-washing stations and additional public toilets, launched city-wide vaccination campaigns, and passed out hygiene kits in an effort to keep the outbreak – largely spread by unwashed hands – at bay. Eight senior citizens die from heat-related distress after The Rehabilitation Center at Hollywood Hills (FL) loses power during Hurricane Irma. 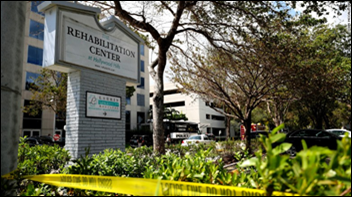 Health officials evacuated 141 residents from the facility, sending them to local hospitals and prompting the inspection of other nursing home facilities, of which dozens are still without power. Medicity will host its annual client summit September 19-21 in Stone Mountain, GA.
Voalte announces the speaker lineup for the Voalte User Experience conference set to take place October 11-13 in Sarasota, FL. Consulting Magazine ranks Impact Advisors fourth on its list of best small firms to work for. Over 225 Epic customers adopt National Decision Support Co.’s CareSelect Imaging Platform. Allscripts certifies Elsevier’s Interactive Patient Education as part of its developer program. Liaison Technologies begins accepting applications for its Data-Inspired Future Scholarship program. LiveProcess will exhibit at California Hospital Association Disaster Planning 2017 September 18-20 in Sacramento, CA. MedData will exhibit at the MRCA HFMA Fall Revenue Cycle Conference September 20-22 in Mt. Pleasant, MI. Meditech will exhibit at the Wyoming Hospital Association Annual Meeting & Convention September 19-21 in Sheridan. Clinical Computer Systems, developer of the Obix Perinatal Data System, will exhibit at the NC/SC Perinatal Partnership Conference September 17-19 in Concord, NC. Experian Health will exhibit at the HFMA VA-DC event September 20-22 in Virginia Beach. PatientKeeper will exhibit at the MUSE Community Peer Group – Ontario September 15 in Barrie, Ontario. Liaison Technologies achieves Payment Card Industry Data Security Standard v3.2 certification and is included in the Visa Global Registry of Service Providers. Black Book launches a redesigned website. ZappRx will exhibit at the National Association of Specialty Pharmacy meeting and conference September 18-20 in Washington, DC. Salesforce, please call of the pitbulls who attack when you sign up for your webinar! 5 phone calls (including instant re-dialing when I decline a call) in less than 24 hours is just too much – the event hasn’t even happened yet. This looks like fake news. They just won a huge deal in Singapore. Sounds like disgruntled competitor. Do the progress notes authored by outside providers via Share Everywhere show up under the Notes tab in Chart Review or in a separate activity, like Care Everywhere? Yes. The attached interview (third paragraph) explains that part.